Boom Zaramay! 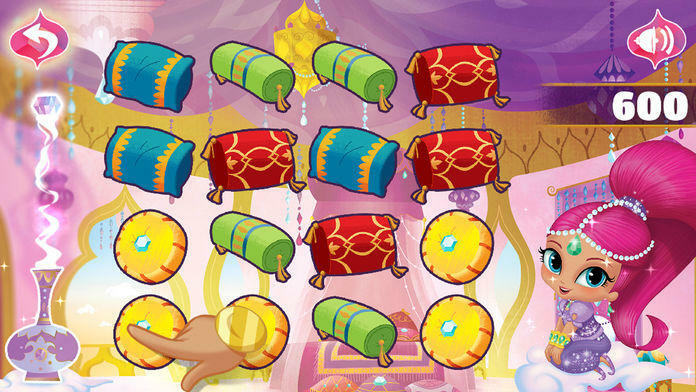 Play with Shimmer and Shine in five magical mini-games filled with sparkling adventures! 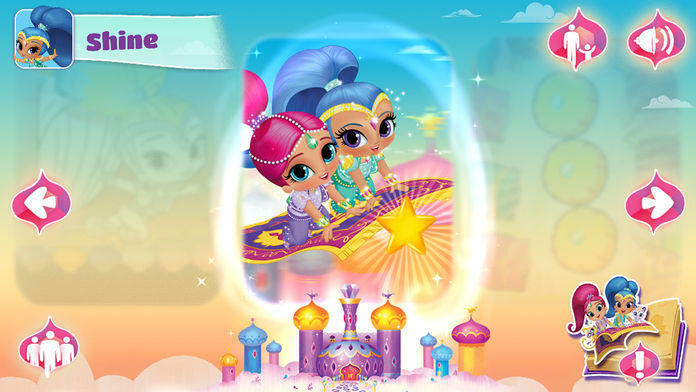 Series of 5 mini-games to play with Shimmer, Shine, Leah and more! • Nahal and Tala have gotten mud everywhere! Help scrub them down with soap, wash them off with water from a hose, and towel dry them to make them sparkly and clean again. 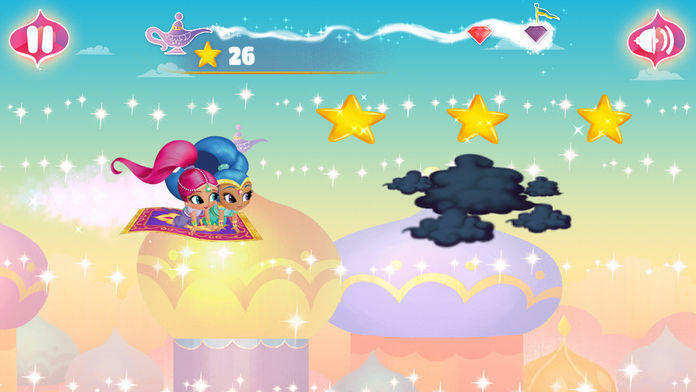 • Help Shimmer and Shine avoid obstacles from their magic carpet and collect items to fly to the finish line on time! 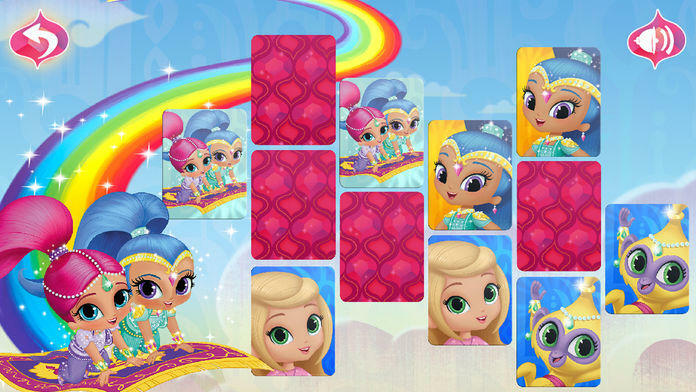 • Play the classic game of memory by flipping over cards to match all of your favorite characters from Shimmer and Shine. 3 levels to complete! 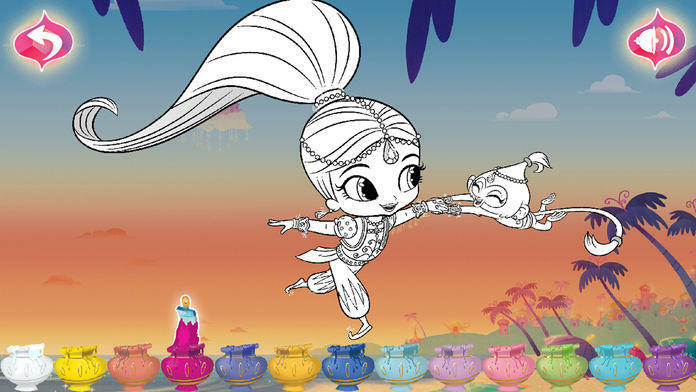 • Get creative with 4 coloring activity sheets including Shimmer, Shine, Nahal, and Tala! • Find groups of 3 of the same pillow to match up. 9 exciting levels to play!